Make your home or business stand out with ornamental ironwork designs from FORESTVILLE WELDING & IRON WORKS, INC. in Upper Marlboro, Maryland. Artfully created wrought iron metal works accent commercial, municipal, and residential properties, with decorative and functional fencing, windows, or railings. Beyond our structural and ornamental services, we also repair heavy equipment with our mobile system. Keep your downtime to a minimum when our expert technicians come to you for welding repairs on bulldozers, front-end loaders, tractor-trailers, excavators, or any other piece of heavy machinery. If you only need a custom-built trailer hitch that can take a beating, we do that on-site as well! 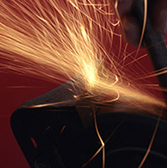 Contact us to let us create or repair your ironworks today! FORESTVILLE WELDING & IRON WORKS, INC.